Ramona received a dual Bachelor of Fine Arts degree in Studio Art and Art History from Wright State University in Dayton, Ohio. 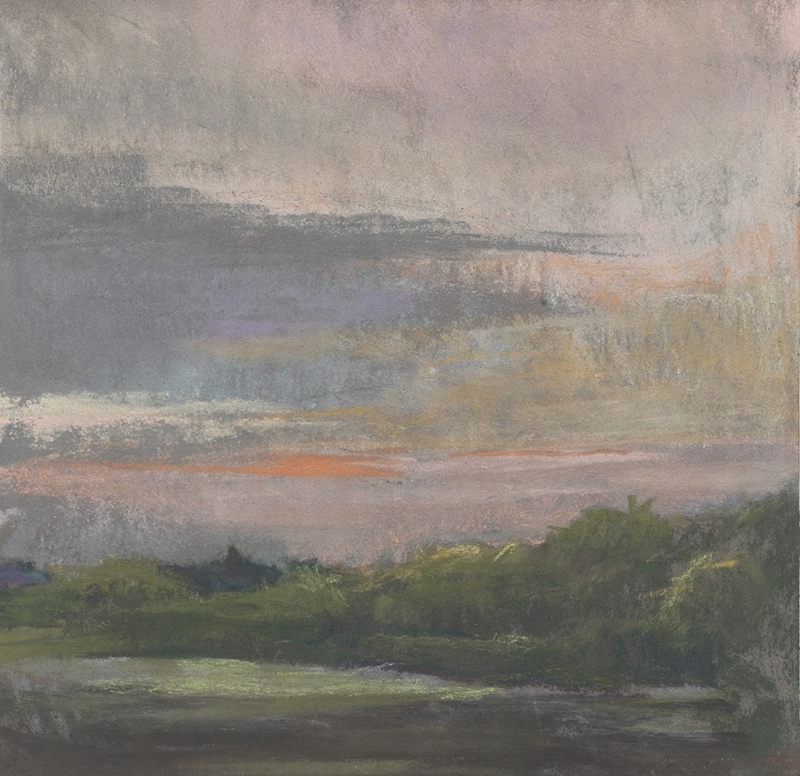 Ramona completed an intensive landscape painting program at Maryland Art Institute and went on to earn her Master of Fine Arts in Studio Art from Columbia University. 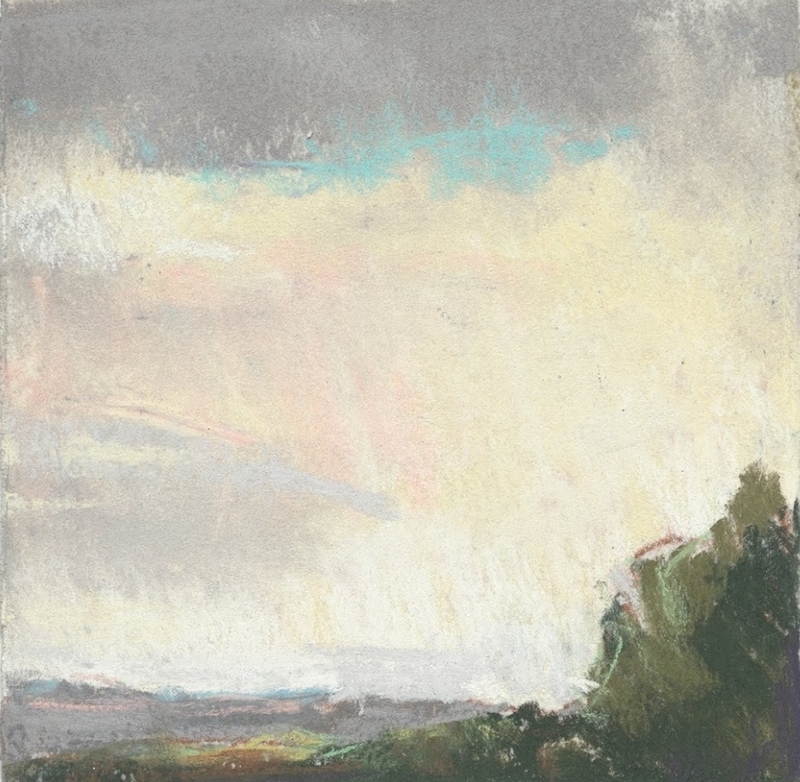 Ramona works with a variety of materials including pastels, conte, watercolor, gesso and charcoal to create small square format 8” x 8” landscapes. These range in size from 4” x 4” to 8” x 8” and can be single sheets, diptychs, triptychs or even quadriptychs. 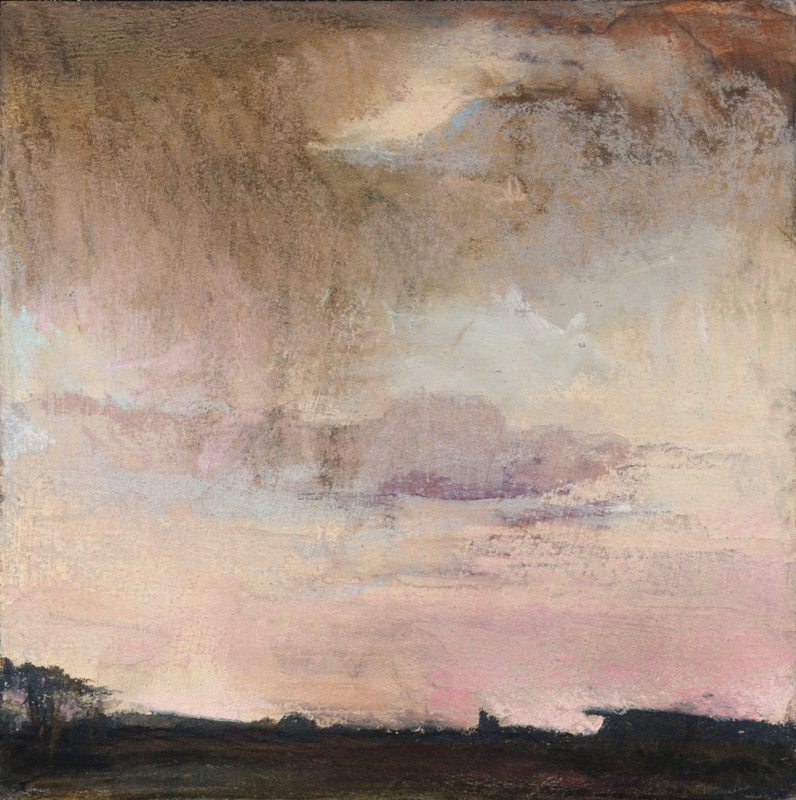 She has had many solo and group exhibitions, including shows at the University of Connecticut and the Paesaggio Gallery in West Hartford, Connecticut, Her work has been included in exhibitions with Wolf Kahn, Lois Dodd, Emily Nelligan and Eric Aho among others. One of her images was even selected for interpretation by poet Mark Doty. “I require a limited boundary to propel my search for an image. Each series derives from a memory supported by my Diana camera or digital photographs or other historical landscape paintings. This is a methodology that requires internalization rather than a direct response. Ideally, seeing is slowed down, and the unique nature of each work becomes all the more noticeable. Making drawings through the windowpane of memory softens the edges even further, but I’m constantly aware of that tightrope between sentimentality and structure. We remember some things; forget others, and that which is important to us nudges forward. For me, the intrigue always begins with the horizon, that distant point where the ephemeral caresses solidity. Time of day is also important. I am absorbed not only by the light and ambience of dawn and dusk, but the subliminal emotional associations in beginning or ending another day. Formally, in some respect over the years, my apparatus for a visual articulation of space has been contradictory. Ultimately, I waffle between an implied and an atmospheric perspective. 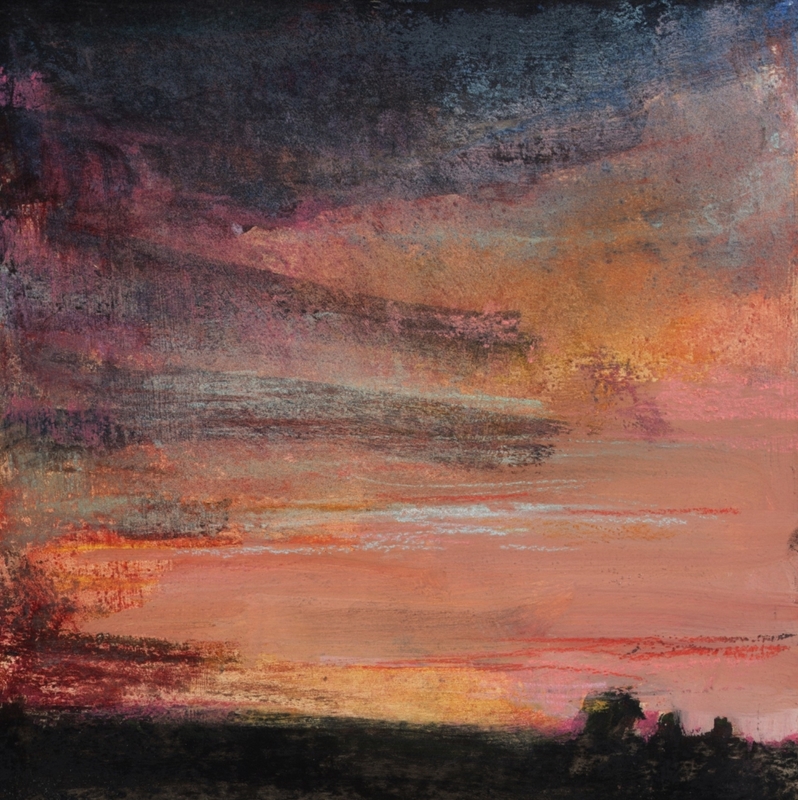 Not a vista, these explorations of space through the landscape are analogous to an object with a human scale, the width of your open hand or the space between your ears. Further to actual format, historically, painting on a rectangle suggests that the spatial moment continued beyond its edges. Conversely, my preference is for the equilateral element of a square. It implies containment, a singular intimate space, rather than an extended scene, reinforcing the personal human element.